Published on 14. 01. 2012 in comics and cartooning and hype & linkage. Closed Tags: Danish Comics Council, Komiks.dk, Nummer9, Ping Awards, Ping-prisen. 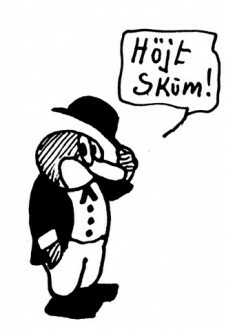 In collaboration with the Danish Comics Council the festival Komiks.dk and the Storm P. Museum, the Danish comics site Nummer9 is now resurrecting the Danish comics award, The Ping, named after the great cartoonist Storm P.’s famous sidekick character. The Ping in its original iteration was awarded between 1986 and 1996 and was given to an individual for his or her contribution to Danish comics. The new Ping is rather different — it’s a set of awards given in multiple categories, much like the Eisners in the US or the Fauves in Angoulême, France. Nominees in six categories have been selected by the staff of Nummer9 with their votes tallied by Nummer9 editor-in-chief Erik Barkman, Comics Council president Thomas Thorhauge, and myself who therefore couldn’t nominate works ourselves. The winners will be selected by a jury, the members of which will be announced on 1 February and will be presented at an awards ceremony in Lille Vega, Copenhagen 28 February. Among the nominees are some of the remarkable Danish comics published this past year, several of which are of such high quality that one might hope for international editions in the near future. 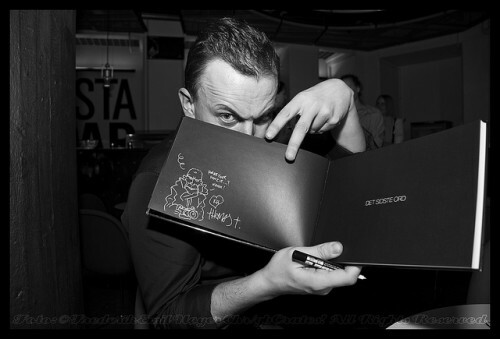 You will also find nominated in two different categories a number of the best non-Danish comics of 2011. The full list can be seen here. We’re very happy to announce the inauguration of Ping Resurrected, which would not have happened without the hard work of the great, hard-working organizing committee. Read more about them here. And do show up for the show — it’s going to be a great party!